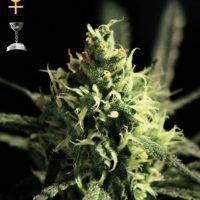 Dutch Passion Freddie’s Best female Seeds produce a cannabis plant with a High (15-20%) THC content and Photoperiod genetics. 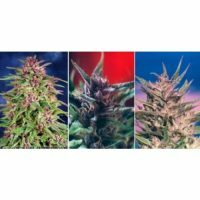 Buy Dutch Passion Freddie’s Best female Seeds at the lowest price online now! 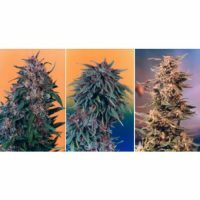 Freddy is a legendary cannabis breeder who for over 20 years has given the world strains such as Blueberry, Mazar, Passion #1, Orange Bud, Strawberry Cough and many others. 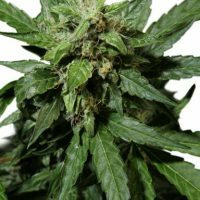 After a lifetime devoted to cannabis, Freddy is retiring and as a tribute to his astonishing legacy his final strain is named in his honour ‘Freddy’s Best’. Freddy is a real connoisseur, he sets the highest standards for the high, appearance, taste and yield of his creations but in his final project he pushed these expectations to new levels of achievement.. Delving into the 30 year old Dutch Passion genebank, Freddy created a 3-way cross between Chocolope, Dutch Haze and a special, unnamed Sativa. 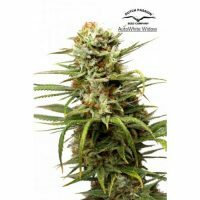 Freddy’s Best is a mostly Sativa variety with a generous crop of large round buds which are dense and especially full of resin. Freddy’s connoisseur taste targets were met with a unique aroma and delicious flavours with hints of cocoa as well as earthy scents, with a sweet and spicy taste. Freddy’s best has a fantastically intense, clear and long lasting high. 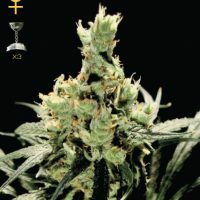 This is a true connoisseurs delight bringing heavy yields. Freddy’s best is a fitting tribute to a remarkable man. Dutch Passion would like to thank Freddy for his dedication to cannabis and Dutch Passion and to wish him an inspired future as he follows his second dream, Shamanism. Freddy, we salute you.